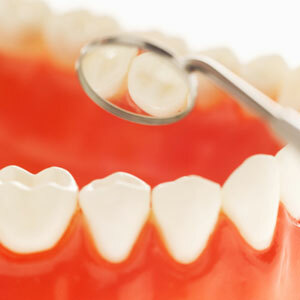 Preventative dental care ensures your teeth and gums stay healthy. Avoid serious dental problems and complex, expensive treatments in the future by scheduling regular preventative visits. We encourage each new patient at Smile Makers Whitsundays to participate in an hour-long comprehensive examination and cleaning. At this appointment, your dental concerns and needs are thoroughly discussed. We’ll also check your teeth and the surrounding soft tissues, making sure no problems exist that you might not know about. The state-of-the-art DIAGNOcam and digital X-rays are used when necessary to assist our team in your diagnosis. Then, you’ll receive a personalised treatment plan that outlines all possible options and the costs involved. Our dentist and support staff work in a team with you to preserve your natural teeth and supporting structures. We hope to prevent future issues, stop any from progressing and avoid the recurrence of dental diseases and conditions. It all starts at home with good oral hygiene and a balanced diet. We’ll continue your healthy habits at our practice to promote, restore and maintain your oral health with regular dental examinations and other preventative treatments, such as sealants and fluoride. Flexible payment plans can be arranged to accommodate you. Prioritise your oral health. Contact us today to get started!